Nova's Hammertone Finish Fixed Arms Wheelchair comes equipped with fixed full-length arms and swing-away footrests. 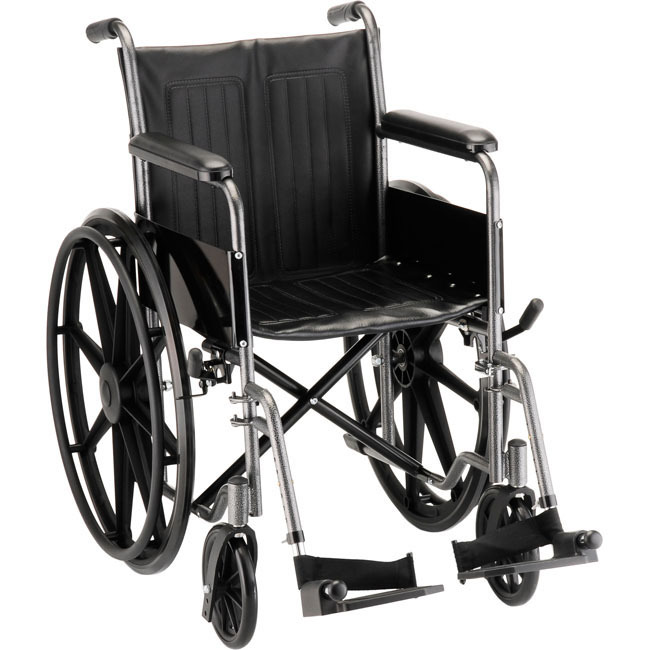 The Nova Hammertone Finish Fixed Arms Wheelchair comes equipped with fixed full-length arms and swing-away footrests. It also features dual axle positions for quick seat height conversion and flame retardant black vinyl upholstery. Seath Width: 16" / 18" / 20"